I am a true Florida native. I was raised in Miami and then ventured out to Broward County and now Palm Beach County, where I call Boynton Beach, HOME! I know South Florida pretty well! I love my job! But more importantly I love helping each client reach their home goal, whether it’s helping a family achieve their dream of owning a home or helping you sell to buy a bigger home, or smaller home.​ I pride myself in getting the very best for my clients which is why I am an aggressive and zealous negotiator. I like to go over and beyond for my clients and through this I have been able to establish long lasting relationships. 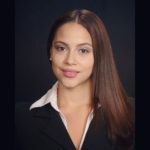 Additionally, I have an extensive legal background as a former Real Estate Paralegal in Residential, Short Sales and REO transactions that has prepared me to assist buyers and sellers, helping guide them through their transaction from contract to closing. Looking to buy, sell or rent? Check out what is available and give me a call!